About 1 of 5 (20%) children aged 5 to 11 years have at least one untreated decayed tooth. 1 of 7 (13%) adolescents aged 12 to 19 years has at least one untreated decayed tooth. “Children who have poor oral health often miss more school and receive lower grades than children who don’t." So, with these statistics, let’s involve young children in the study of good oral hygiene with fun activities that teach. Here are a few to get your theme started. “I pledge allegiance to the mouth and to the dentist who takes care of us. 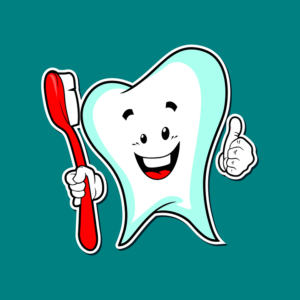 And, to the gums for which they stand, strong and healthy, with toothbrushes and toothpaste for all." Have a discussion about toothpaste. Encourage the kids to talk about their favorite kinds and flavors. Let them mimic how they brush their teeth. Tell them they should brush at least two minutes twice a day. Send an informative letter to parents on how to make tooth-brushing fun for kids. Why not experiment with making homemade toothpaste? Combine the ingredients inside a small bowl and stir with a spoon. Dole out a small amount inside a plastic baggie and send this home with the children. Note the recipe on paper so the parents are aware of the ingredients. Ask the parents to allow the kids to try the toothpaste and talk about the texture and taste. Be sure that the kids know to rinse their mouths well after brushing (and not eat the paste, even if it smells and tastes good). Just brushing your teeth will not clean the areas between the teeth or below the gum line. Daily flossing is a good habit to learn. 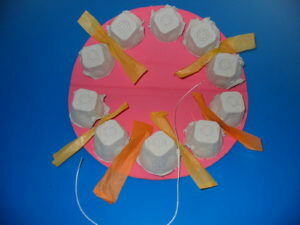 Make a simple model of a mouth with teeth and show the children how to use string to go in and out between the teeth. This is how I made mine. Take a circle of cardboard and paint it pink like healthy gums inside the mouth. Use an egg carton and cut apart the individual cups. Glue these along the mouth shape to look like teeth. Put small pieces of tissue paper in between the eggcup teeth. These papers will be the plaque. Use string to demonstrate flossing and show how it rids the tissue paper away from the teeth. Here’s a simple, but fun experiment to help kids understand how sugar affects their teeth. Take a hard-boiled egg and have this replica a tooth. Ask your students to imagine that the egg is the tooth and the shell is the enamel on the tooth. Divide your students into lab groups and provide each group with two eggs, two clear plastic cups, a marker, cola, grape juice, a toothbrush and toothpaste. Label each cup – one for cola and one for grape juice. Place a hard-boiled egg into each cup. Pour cola in one and grape juice in the second cup. Place the cups aside until the second day. Hypothesize what will happen to the eggs. What happened to the eggs? Are they stained? (Drinks such as cola and fruit juice can stain our teeth because the sugar in the drink combines with the acid and bacteria in our mouths to form plaque and stains. Use this fun game as a way to review the facts that your students have learned during this dental health theme unit. Ask the kids to sit in a circle and have one child begin by holding a toothbrush while recounting one fact that he/she has learned about dental care. After stating a fact, have this child pass the toothbrush to the person on his right – now this child states another fact. Continue around the circle until every student has a chance to tell what he or she has learned about teeth. With young children, it is necessary to talk about loosing teeth. We emphasize about taking care of our teeth so they last a lifetime, but we also need to address that baby teeth are going to fall out to make room for our precious permanent teeth. 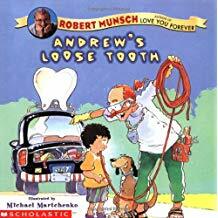 Begin by reading the book, Andrew’s Loose Tooth by Robert Munsch. This hilarious tale is about how Dad, the dentist, and even the tooth fairy are having a difficult time pulling Andrew’s loose tooth. Then, enjoy chanting these fun rhymes together. I’ve got a wiggly, jiggly tooth. It’s ready to leave my head. It still hangs by a thread. I’ll give it one more try. First I’ll move it back and forth. Oops! Now it said goodbye! I had a very wiggly tooth. I worked until I pulled it out. Now, there’s an empty spot.